Anger is something that we all have to deal with and most struggle with. Sometimes on a daily basis. Anger management is important and I thought I'd share some good ways to release anger. Techniques that personally helped me. The worst part is that the things that make us angry are mostly related to others and we can't control other people's actions. We only have control over our own reaction to whatever they're doing. Sometimes we feel anger towards a situation or even towards ourselves. But mostly it's about what that other person is doing. Damn them, right? It's not easy, I know. If someone upsets you then it's easy to go to the dark side and all hell breaks loose. Getting angry is normal because we're human and anger is a natural human emotion. The goal is to find better ways of letting it out. Anger can lead to a place of so much hate if you don't handle it properly. Yes, it feels good to tell someone off if they did or said something upsetting. Getting revenge feels good too. Or at least in the moment. It only feels good because it's a better feeling emotion than giving up, feeling hurt and fearful. Those emotions are the lowest you can get on the emotional scale. That's when depression pays you a visit and hangs out with you for as long as you'll welcome it. As weird as it sounds, anger means we still have some fight left in us. I'll trip over to the negative/dark side occasionally because life happens and some people are expert button pushers, but I refuse to stay there. Old me would dwell there and not even try to get out. I'll just dig and dig a deeper hole for myself. That's when every single thing irritates me until I don't care anymore. 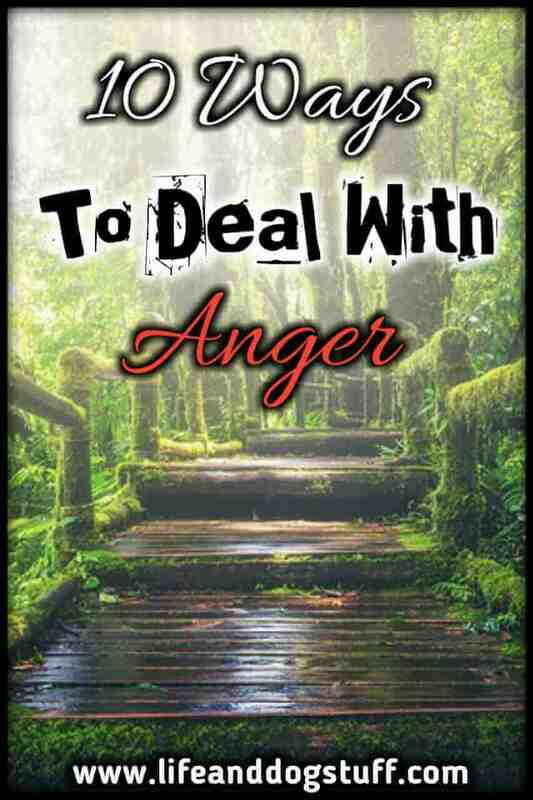 Here are a few ways to deal with anger issues without murdering anyone. Oh, I know it crossed your mind. I won't tell anyone. Take a deep breath, count to 10 or longer depending on how explosive you are and just walk away or ignore. Don't engage with the person, yet. Yes, it's easier said than done but think of the alternative. It could result in a full-blown argument that damages the relationship. If you have kids then fighting in front of them is damaging to their life. A small child that can't speak yet, can pick up the behaviors of the people around them. Do not for one moment think your actions go unnoticed by your children. If it's a person that means nothing to you then don't join them at their level. I'm good at not engaging. It mostly had to do with my stay away from confrontation nature and because I was never really outspoken. People don't pick fights with me for this reason. They'll get nothing out of it. The less drama I have in my life, the better. I do my best to be nice to everyone that crosses my path. That way most people are nice to me. I treat them the way I want to be treated. A recent situation or person that made me angry almost made me go full blown psycho. Luckily I stopped myself and just walked away. I mumbled a few bad words then successfully removed myself from the situation. The mumbling I found releases the steam coming out of my ears. That's just me. I'm not promoting swearing, but for me, it gives an instant release. I sometimes just replace the bad word with a similar sounding word. I've become a little more outspoken in the last few years. My words flow more freely but luckily I have control over them. No fighting, please! The control it takes to hold back takes practice. Practice I had for years. Looking like a crazy angry person is not on my life goals list. It shouldn't be on anyone's list. We all have anger triggers. Things that upset us. One thing might upset me and the same thing will not upset someone else. Something like "You're fat!" will not upset me at all, but I know it will definitely upset others. The reason why it will never upset me even if I get as big as a whale is because I was skinny my whole life and always wanted to gain weight and I couldn't. Yep! True! After I stopped working at my cubicle job, I gained a lot of weight. People noticed and told me I was fat. It didn't bother me at all. I liked being chubby. I always hated being called skinny or thin. Those were insults to me. Being called fat was something I saw as a compliment. I'm a weirdo I know yes. I looked completely different, but hey that was a good thing too. It fitted in with my reinvention. I had to be healthy of course and gave up junk food and started exercising. That was mostly because I got serious about fighting my depression and eating healthy and exercising was one of the first things I tried before looking deeper. I lost the extra weight in no time. I kept a little chubbyness of course. I had no emotional link to being fat. There's also no guild linked to it. It's a whatever subject. If being called fat bothers you then it's not a whatever subject. Same with anything else that upsets you. It's something you struggled with, something you don't want or feel guilty about. So how do you let it stop bothering you? Take steps to make it a whatever subject or a subject with no emotional trigger. Fighting or struggling against something will not resolve anything. Accept it. Find the reasons why it's ok to be where you are. If it's in your power to change it, then change it. Otherwise just change the meaning you assigned to it. Only then it will no longer trigger you. The universe loves to reflect our inside reality outside. You'll see repeats of the same thing that bother you over and over until you work on it to not bother you anymore. Like a reminder that you've strayed from your path and you need to get back on track. Once you've found your way back, your trigger will fall into the background and you'll be oblivious to it. When I stopped working, the trigger that I'm jobless and aimless bothered me. It came up a lot in conversations too. I was always a person that wanted to do her best in whatever she did and suddenly I didn't do anything or couldn't because I felt hopeless and completely lost. I had to find ways to accept my new reality. I was on the verge of going insane. The pain was overwhelming and I was seconds away from drowning. Instead of looking at what I lost, I started to focus on what I gained. More time with my family and my Buffy and Fluffy, a lot of free time and finally some freedom, a chance to reinvent me. A chance to heal all the pain I carried around. Things that piled up my entire life. I finally had time to work on getting better. I had time to focus on my physical and mental health. I gained a lot. When I started working on my mindset and felt more positive and ready to take on challenges, I started my blog. It's all mine and I'm putting a lot of effort into growing it and making it a success. It came with loads of challenges. Way too many. I'm surprised that I'm still here writing these words. I was able to prove to myself that I'm capable of handling it. Every day I learn a better way of doing something. Like everything in life, it's a learning curve. I'm slowly figuring out what works and I love the creativity and freedom that comes from it. I never liked being told what to do and now I answer to no one. Well...Queen Fluffy is very demanding! 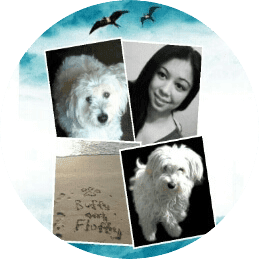 My blog was created to help others. The silly parts are there to make you laugh or just smile. The serious life help stuff is there for anyone needing a push or a light if they feel hopeless. I have mini successes every day and I succeeded in making my jobless/aimless/not contributing to society trigger a whatever subject. Yay! I know with a lot of things it won't be easy to make it something that does not cause you pain if someone mentions it. It took me my whole life to stop making things not hurt so much. The difference between now and then is that I never tried before. 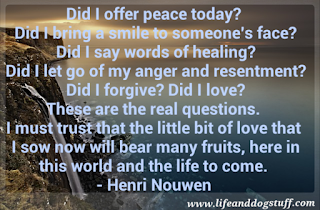 Once I started fighting to feel better I got the answers. Ask and you shall receive. If you're angry at someone then you need to know why. Time to dig deeper. Sometimes someone will just irritate you. Everything they do is wrong. It's really easy to get angry at this person. Try to identify the negative trait that you don't like about this person's character and find similarities in your own character that you see in this person. Eg. I get upset with stubborn people and I'm stubborn too. I will always get upset with stubborn people because they're reflecting me. They do their own thing and don't like listening to others. It's really frustrating! They don't listen to me! Guess what? That's meeeeee!!! Crazy yes, but true. I don't see how my stubborn nature will change anytime soon because I'm too stubborn to work on it. This little scenario will keep playing out in my life until my hard head gets softer. We are blind sometimes to this. You need to know yourself in order to identify the similarity. Most times it's subconscious and you're not aware of it. Something you denied about yourself. The people closest to you can probably shed light on it. Ask them if you promise you won't get mad. As soon as you can notice the similarity then you can understand why this person bothers you. It's something about yourself that you don't like or something that you had to suppress about yourself that was unacceptable in how you were brought up. Eg. time! Uhm...Again! I hate when people swear and yet I swear too. I was brought up strict and that made it hard to be expressive. Especially in a rude manner like that. It was not allowed to step out of line like that in my family. Big no-no! I don't use swear words in conversations, only when I'm angry. Also until only a few years ago, the swear words were just in my head and fear stopped me from speaking them. So, of course, I would hate swearing because not only did I deny that part of myself but also I saw it as unacceptable for fear of being punished. It's just words! Geez! But apparently to me, it has a lot of weirdness attached to it. No swearing, please! At least not in front of me lol. Next, try to find their good side. Keep up, you guys. I tend to expand too much. Anyway...I know when I'm angry at someone I forget that they have good in them. Think of the times they were nice to you. Focus only on their good side. You'll notice they will show you more of their good side as you focus on it. There's a reason why one person would like someone and another won't like the same person. We bring out sides of someone that another won't. Shift your focus and your interactions with this person will improve because you will come from a place other than I don't like that about you. When I'm angry, talking to someone helps relieve some of the anger. It also helps clear up why I'm angry because yes sometimes we get angry for silly things that can actually be related to something else. The act of verbalizing something can shed light on the subject. Writing it down also helps. This type of writing requires you to not hold back. No matter how disturbing or frightening it may sound. The point is to get it all out. It's the holding it in that causes the most damage. Best to destroy a written piece afterward. Not just because it will help release and calm your anger but evidence of your hate at that moment too. Back to talking. The person you're talking to will sympathize with you, empathize with you or just tell you straight you're being silly again. Luckily I have three people in my life that do exactly that. Each gives me what I need. At that moment I want to be heard, I want someone to understand where I'm coming from and I want someone to tell me if I'm full of nonsense again. You can, of course, tell the source of your anger what they did that upset you. They might adjust their behavior or not. Sometimes people don't know what they did to make you mad. Gather your thoughts and talk it out. It is a must to help you get over it and understand the other person's viewpoint and helping them to understand yours. If that person is just mean and doing it for fun then you can try once, but don't waste your time. The mean ones are very broken. They are most probably dealing with their own issues in a very destructive way. They have a need to feel powerful. The best thing you can do in that scenario is work on your positive mindset and insecurities. You work on your insecurities by questioning your negative thoughts and making them invalid. 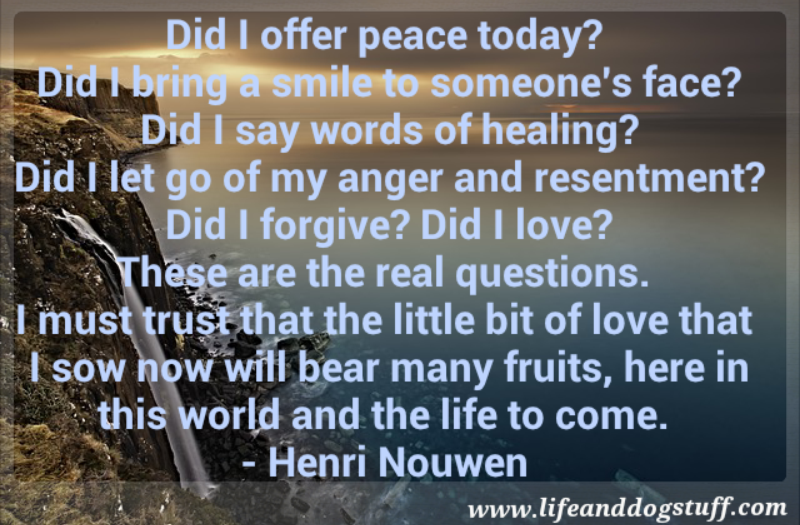 My how to change negative belief post will give you an idea of what it involves and you can do your own research too. Show them they don't have any power over you. Hold your head up high. They feel powerful if they push you down. They act from a place of weakness. No power means they'll get nothing out of it, get bored and stop. Not a person! A punching bag or a pillow works well. I was always angry at the world for my awful life that I created. Yes! It was all me, but of course, I would never blame myself. Nope! It was everyone else. Anyway...punching a pillow helped a lot. I would punch it and say all the things I hated about my life and what made me angry. Sometimes you don't even feel anger, just depressed and completely defeated. Go punch something! A lot of your emotions were probably buried or pushed down if you got to that point. Let it out! Go ahead and scream! I always feel better after a good cry but I have a bit of a problem. It's hard to initiate crying. Partly because I had Lasik and have dry eyes lol. Also, not a lot can bring me to tears because I've dealt with a lot of my issues. Maybe once in a blue moon when I get into a situation where I feel I probably should cry, then I can't. Don't worry if you're like me, a non-crier, just listen to the saddest song you can find or watch a sad movie and see how the waterworks flow. I was super happy when I found out I can still form tears! When you feel upset, crying is a must. Find ways to get those tears flowing. You'll be glad you did. It also releases happy hormones and you'll feel better. Silencing your mind is essential to gaining control over your emotions. Check out my meditation post to help you if you're having trouble meditating. When you're angry, your mind tends to dwell on whatever made you angry. All sorts of things will come up. That's when you go into story mode and different scenarios start to play out in your head. The longer you dwell, the worse you'll feel. When I catch myself in story mode, I try everything to disrupt it or snap myself out. Meditation can help clear your mind and allow you to take control in order to handle the situation better. Your mind is not your friend. Don't treat it as your bestie that's helping you add fuel to your anger. We all love that friend that gets angry with us and gives us all sort of ideas. Shut it down! Be grateful to the person that made you angry. Say thank you to them for giving you an opportunity to grow. Not kidding! Every single person that comes into your life will contribute something that adds to who you will turn into one day. We are always changing. We are not static. People change. I've changed so I believe everyone has the ability to change. People change people. Even the ones that make us angry, especially those ones can change us more than anyone. They are reminders of what needs attention in our lives. I've noticed in relationships is where you do most of your growing. The other person will reflect things you have issues with and instead of complaining how horrible it feels, see it as an opportunity to become a better you. My failed relationships helped me deal with all the junk I was carrying around. A big thank you to them and yes they were erased. They taught me what I needed to learn. It hurt like hell. Truth hurts! But it made me want to work on being better and they made me see what I wanted and needed in my life. More than they could ever give. Of course be grateful for everything in your life too. It will help you be more positive and less explosive. A positive mind starts with a grateful attitude. Think of what you want out of this life, make a list and take steps to make it happen. If you want to be happy, go be happy! No one is stopping you. Only you have the ability to stop yourself. Be mindful of the thoughts you're thinking every day. If you're a negative person you're going to attract a lot of negativity into your life. I'm talking from experience. If I'm in a negative mindset I attract chaos. Everything around me breaks and nothing goes my way. People around me start to irritate me and make me angry. The minute I go to a positive mindset then things fall into place. I get more focused. My head is clear. I problem solve better. Ideas fill my head. Things that were mountains when I was negative become easier to get through when I'm positive. Plus I don't get irritated easily by others when I'm all sunshine and roses. It's not easy to just be positive, I know. Not when you led a life that constantly felt like an uphill battle. I still struggle with it, but I've gotten good at catching myself being negative and doing everything I can to change it around. The trick is to not let it get too far. 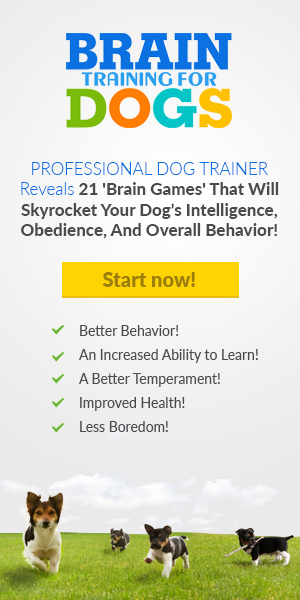 Tools like Eft (Emotional freedom technique), Faster Eft (my personal favorite), positive affirmations, thought inquiry (The Work), meditation, Nlp (Neuro-linguistic programming) and loads of other stuff are all helpful in achieving a more positive mindset. I tried almost all of these things. Sometimes in combination. They are all subconscious reprogramming tools. Think of your subconscious as everything your mind recorded throughout your life since you were a baby and it works on autopilot. Every time you get into a relating stored/recorded situation it goes and finds the best way to handle something based off your experiences throughout your life. That's good in some situations like tying your shoelaces or driving your car. Things you do without thinking about the steps because it's already hardwired into your subconscious mind. In other situations, it's very very bad when you, for example, feel lonely in a crowd and have no idea why. All along it was because you didn't get a lot of attention when you were a baby or some other messed up reason. It could be a moment in your life that seems insignificant and yet it decides future decisions for you. Like when you got that one bad mark on your report card or straight A's and no one celebrated that achievement with you. Suddenly you became a people-pleaser or an overachiever stepping on everyone to get to the top or worse, you felt like you could never measure up no matter how hard you tried. I know! It's crazy. That last example was what happened to me. When I looked back at why I kept feeling like a failure, the memory of me showing my report card came up and the feedback was underwhelming. I got loads of A's and one bad D. There was not a "We have to celebrate" or "I'm so proud of you". My love language is words of affirmation. That's how I feel loved. I got none of that. Most of my family have the acts of service love language. They would always do stuff for me, but I got no "Yays!!" and kept thinking it's because they didn't love me. Only today I can look back and see that they loved me sooooo much. They just showed it differently than what I needed. That moment seems so insignificant and I forgot all about it. All along it shaped so much of my life. Scumbag subconscious! Make sure you check out my love languages post to help better understand your relationships. In turn, it will lead to more understanding and less getting angry at people in your life. I move at my own pace now and don't care to prove myself to anyone. I'm not running a race for anyone. If someone does not accept me with my weirdness and all, I'll gladly move on. I don't need anyone's stamp of approval. Except for my doggies! It's my mission to be their favorite person in the whole world. Mission accomplished! Yay! I never tried therapy so I can't give you any insight on that. It might be useful for someone needing clarity and guidance on why they feel the way they feel and I hear you get happy pills sometimes too. The first thing to do when wanting to feel better is to understand why you don't. It's not as simple as because you feel lonely or unloved etc. There are lots of whys attached and almost all your issues will be related to things that happened in your childhood. Just saying to myself I'm going to be more positive, happier, blah blah blah did not work. Demons dwell underneath the surface. I was never a naturally positive person. I had a dark cloud following me around my whole life. The more things didn't work out for me, the more I believed things will not work out for me. My mind was trained to be negative. It gathered a lot of evidence throughout my life to remind me that I was doomed to be miserable forever. I did not accept my negative mind anymore. No one should. I had to remind myself every day of what I have to be grateful for. Retraining my mind to be more positive. Today, I'm more positive and see the bright side of situations. My mind formed new connections and not reaching for the worst-case scenario all the time. Depression is treatable. I know how hard it is when you're in it. If you're someone suffering in silence, try to take a small step and ask for help or be open enough to research and maybe try or test these tools I've mentioned. Get angry at your depression and say "No more! I'm done with you!" and start fighting. You deserve a beautiful life. Getting over something and forgiving is not easy. Forgiveness does not mean be besties with someone. It just means not holding on to the pain anymore. Let it go. Move on. Anger leads to hate if you don't deal with it. Bye bye relationship with that person. Some connections deserve a second chance. People make mistakes. If it's not a repeater and you can see your happiness matters to this person then that connection shouldn't be broken. Forgive them. Give them a chance to make it up to you. It's important to let them know what they did wrong and how it made you feel so that they don't repeat their actions. Otherwise just forgive and walk away if it's someone that has no clue on how to respect your boundaries. We're all a work in progress. It's fine that they came to remind us of our issues, but they should respect our process and the time it will take to work through something. Hope that helped a bit if you have some anger issues. It's not easy to just let go like most people tell you to. It might take some time, but don't avoid dealing with it. Try working on it. If you've been holding onto anger for years...whyyyy? It's time to throw it away. Release your anger. Give yourself that gift. These things show up in other areas of your life. Stress, illness, in other relationships. Everywhere! Burying it will not make it disappear. Good luck with fighting the anger monster. Disclaimer: All advice given is my observations and what worked personally for me. Not intended to replace professional help. I think working on your triggers and looking underneath the issue are great tips. It seems, for me at least, there is truth in the underlying issue. Great tips!